Many drummers, and instrumentalists more broadly, struggle to find suitable practice spaces in the city. The volume and vibration of acoustic drums can disturb neighbors in most apartment complexes and attached houses, limiting your ability to practice. Plus, if you’re living in a small apartment, you may not have space for a full drum set. But just because you live in NYC doesn’t mean that you can’t practice at all. The following suggestions can help you to play and practice while still respecting those around you and manage your limited space. Drum pads are the most common low-volume, low-cost option. These pads are great for beginners, but they’re also an important tool for percussionists of all levels. A good rubber drum pad will be very quiet – so quiet that people in the next room won’t be able to hear you practicing. Drum pads are good for developing your technique, though they don’t adequately recreate the experience of playing the drums – especially not the drum set. Some companies sell a “drum pad set” which is several drum pads arranged in the orientation of a drum set. These sets offer little additional benefit over a standard drum pad. Mute pads are similar to drum pads, but rather than be used alone, these thin rubber pads are designed to rest on top of your drum heads and cymbals. Mute pads help to significantly reduce the volume of your drum kit. They allow you to achieve more of the real feel of a drum set and its hardware, but the result falls short of being complete. In addition to affecting the volume of your kit, these pads also affect the rebound and tone. But, if you’re playing on a kit inside your apartment, you’ll likely need mute pads in order to keep the volume at a reasonable level. While much more expensive than the above options, electronic kits also offer many benefits that drum pads and mute pads do not. Electronic drum sets offer something no acoustic drum set has: A volume knob! You can feed the sound into a small speaker or, better yet, headphones. Unlike regular pads, these kits can recreate various drum and percussion sounds to improve the practice experience. E-drums have come a long way technologically, but the playing experience is still imperfect. They play like rubber pads, and they lack the depth and sensitivity offered by “real” drums and cymbals. The above options attempt to get around the issue of big, loud drums by removing the drums from the equation. If you absolutely need the real thing, like so many drummers do, then you will likely need to rent a rehearsal studio. There are many studio rental options available throughout NYC, but generally the spaces are small rooms (often converted factories or storage units) that you can rent on an hourly, daily, or monthly basis. They may come with equipment (especially common with “hourly” rooms), or they may be empty. Often, several musicians or band will go in together for a “share,” in which one studio is rented monthly by several parties. The parties involved would need to come to an agreement on how the space is used, such as who is entitled to use the space when. No matter what arrangement you come to, renting a studio will be an additional, recurring expense. You could be paying hundreds of dollars per month for a small room here in New York City, depending on how much time per week you intend to practice. If you’re taking drum lessons, your private music school should have soundproof studios of its own. Even if you are not a student, schools may also rent out their unused studio space, like in the above example. Either way, music schools are designed with this exact issue of playing a loud instrument in the city in mind. If you are actively studying the drums, regular and unaltered practice is essential for your growth, and nothing beats the experience of getting to practice on a real drum set. 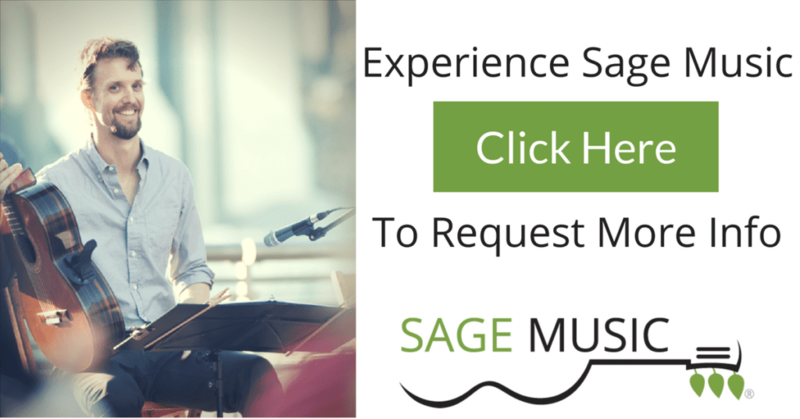 Hooking up with a quality music school like Sage Music can improve not just your practice space, but also your practicing, itself. Your music teacher can also help you to determine which practice solutions are most beneficial for your experience level, goals, and individual situation. When you play the drums, practicing may take a little creativity on your part, but it can be done, even when you’re living in NYC.